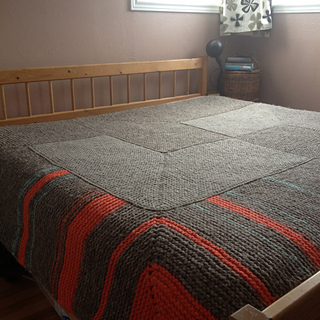 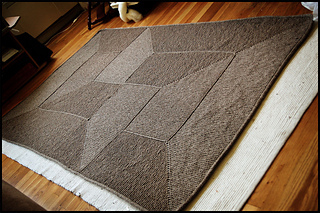 A garter stitch blanket, made in four pieces, with miter lines that create textural variation. 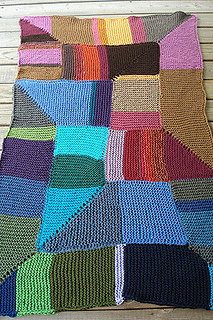 While the pattern suggests using Super Bulky yarn, it notes that different sizes of yarn may be used to create different sized blankets. 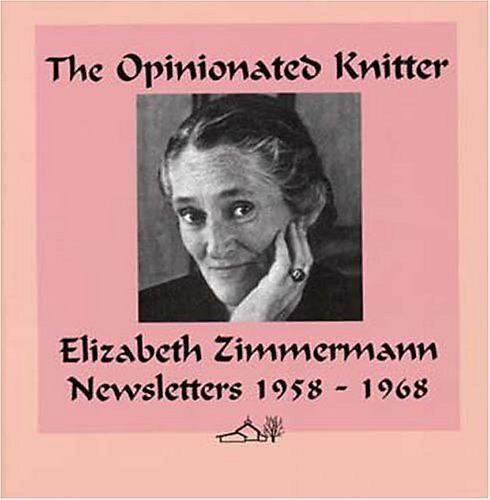 First published in Newsletter #9, Fall 1962. 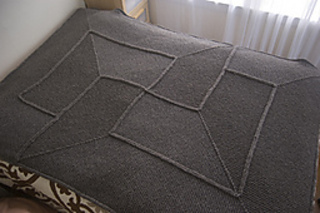 P.53 of The Opinionated Knitter notes that the yardage for Sheepsdown is less per skein that it used to be, so that 14-16 skeins are needed to complete the blanket.